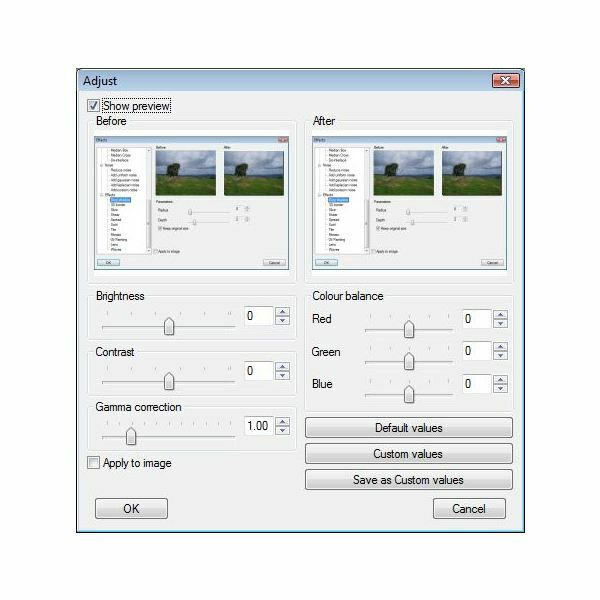 There are many image editing programs available from serious professional applications such as Photoshop through to the Paint application which has always been part of Windows. Free applications include the Gimp, but I have always found this difficult to use, so I prefer XnView. 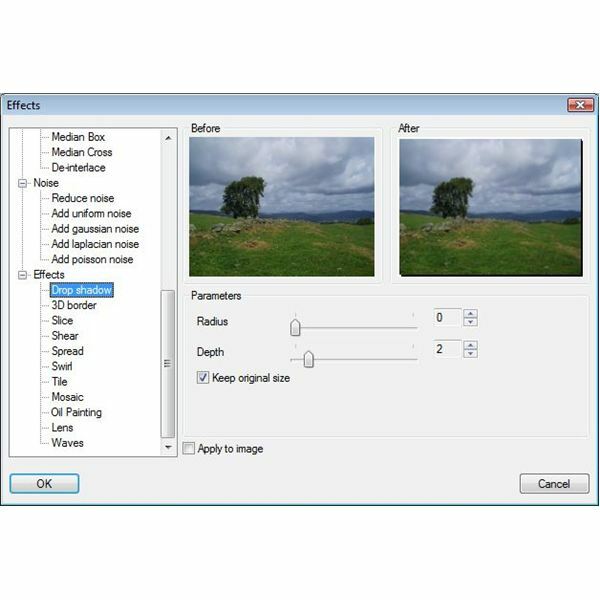 XnView is an image editing application made available as freeware to non-commercial users. The license differs from some alternatives such as the GIMP which are issued under the standard GNU License associated with open source software. XnView remains the copyright of the developer, but license fees are only required for commercial use. However, this does mean it may be less attractive you wish to use it for commercial purposes,as you would need a licence. 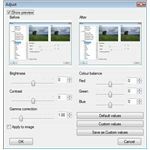 It provides a range of manipulations including brightness, contrast, color, hue, resizing and cropping and the ability to reset the black and white points of the image. It provides a wide range of image processing tools including emboss, soften, edge enhancement, blur, swirl, and oil painting. 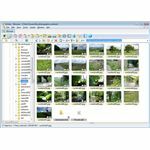 It also provides screen capture (single or multiple), batch processing and batch renaming of files. In spite of its variety of facilities it majors on usability. It provides an image browser function to allow easy identification of images. 1. Ease of use. It scores over alternatives such as the GIMP in this area. The opening screen is simple and uncluttered. The image browser allows easy access to the images to be manipulated. The menus are accessed from a bar at the top of the screen: when a single image is selected in the browser, the Filter menu appears providing access to the effects. 2. Batch image processing functions. 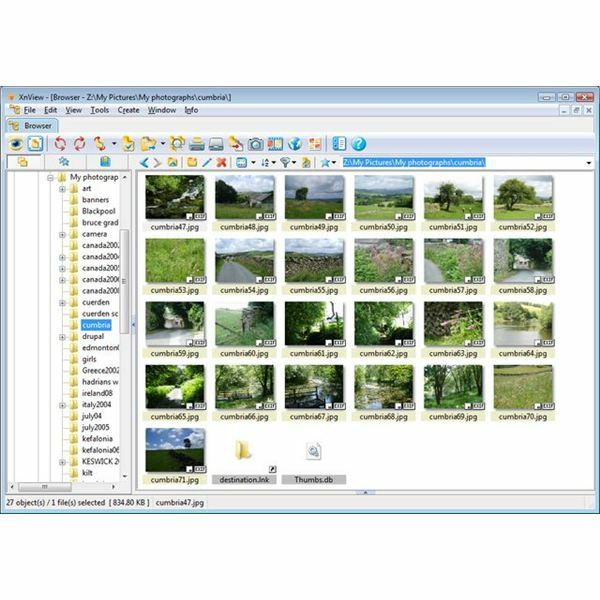 XnView allows the user to readily apply the same operation to a range of selected images, eg to resize images to a consistent format. 3. Batch renaming. This may seem an odd function, but it is very useful in manipulating a folder of images from digital photography. Suppose you have a folder of images from a photo shoot and you want to select the best fro your website. You select the images you want, and then use the batch resize function to get them to the size that you want for your site. Now because you have selected the images, the files have names that are not in sequence, eg HQ001, HQ002, HQOO6, HQ007, HQ009, HQ012 etc. With XnView you can tell the application to rename and re-sequence them as a batch job, so you tell it to call them castle-# and your files become castle1, castle2, castle3 and so on. 4. The ease of access to a wide range of filters. The range of filters available is by no means unique, but it is rare to have them so readily available. XnView achieves an excellent balance of features and usability. 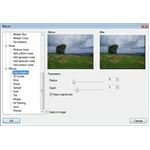 For all but the imaging or photographic professional, the range of features will suffice and the ease of access to them is superior to most alternatives including the GIMP. It occasionally has performance issues when dealing with either large folders of images in the browser or completing a complex processing operation on a large image, and I find its use of "import clipboard" instead of "Paste in new window" quirky but otherwise acquits itself with great credit. It's free for non-commercial use. It does an awful lot, as well! The application is easy to use and the internal browser makes finding and managing images easy. The batch functions make Xnview a very effective productivity aid.